Natural skincare. It can be a bit hit or miss, but my latest 100% natural finds are definitely a hit! 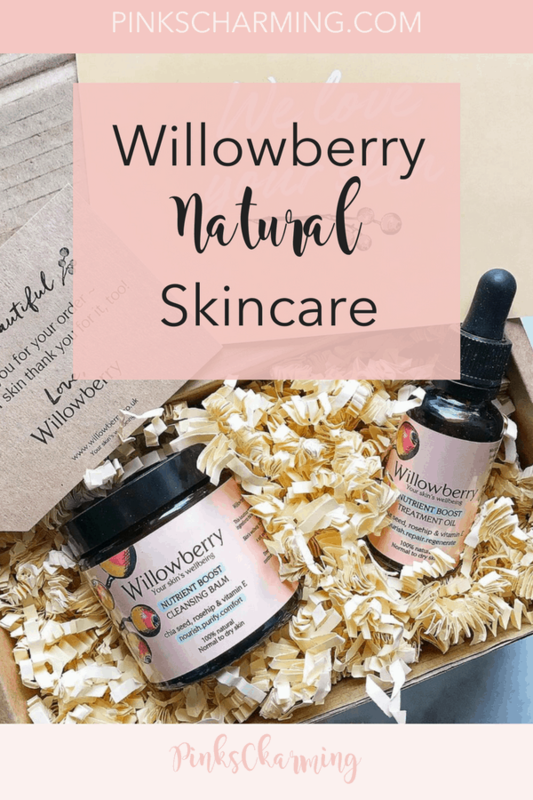 When Willowberry Natural Skincare asked me to review their skincare range, I was keen to try and find a new favourite*. 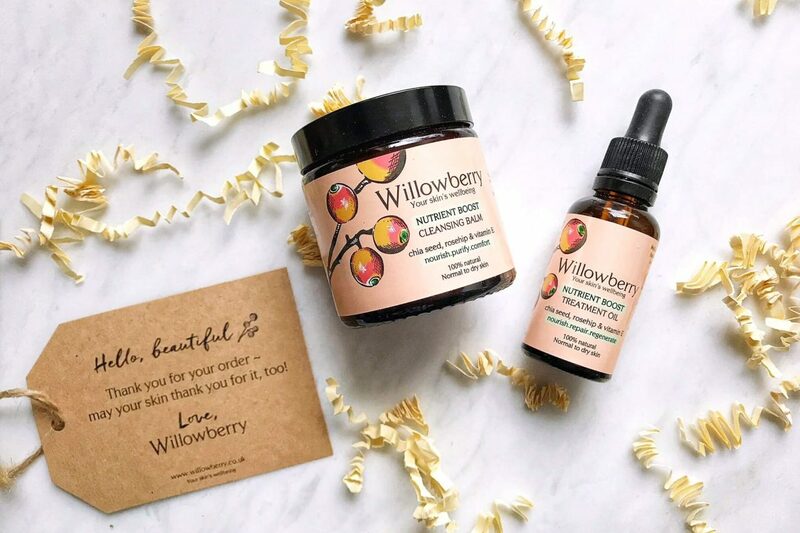 Willowberry keeps it simple, with three products in their range; a cleansing balm, a facial oil and a day cream. 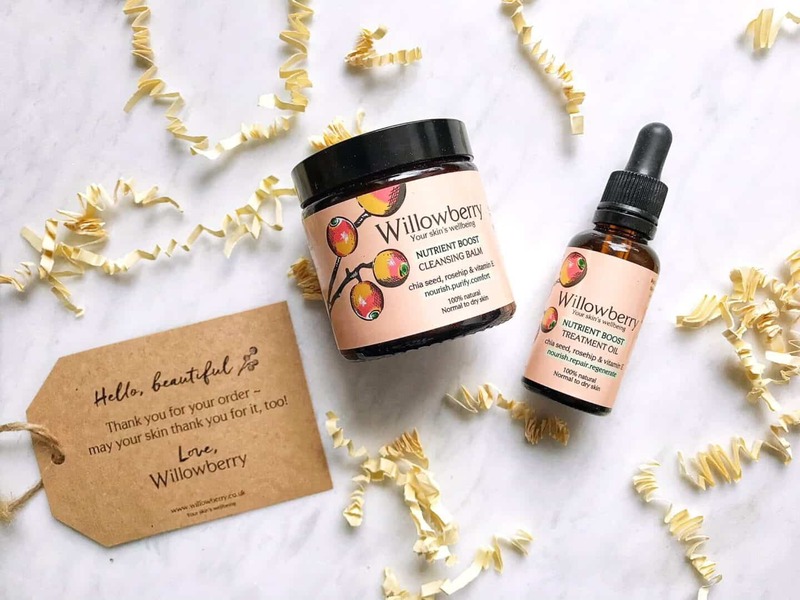 Because I am completely wedded to the day cream I’ve been using for the past three years, I opted to try the Willowberry cleansing balm and facial oil. They arrived quickly, protected in shredded paper, which can be recycled. I was immediately impressed by the pretty peach labels and dark glass jar and bottle. They look great and can also be recycled. 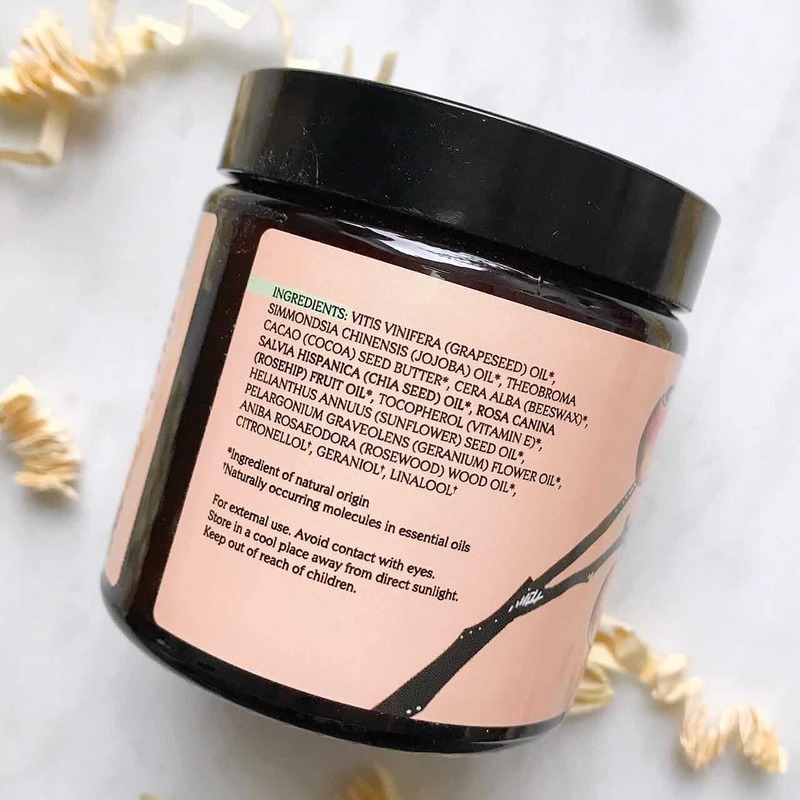 Opening up the jar of Willowberry Nutrient Boost Cleansing Balm (£27.95 for 100ml), you’re immediately hit with a lovely spa-like fragrance of rosewood and geranium. 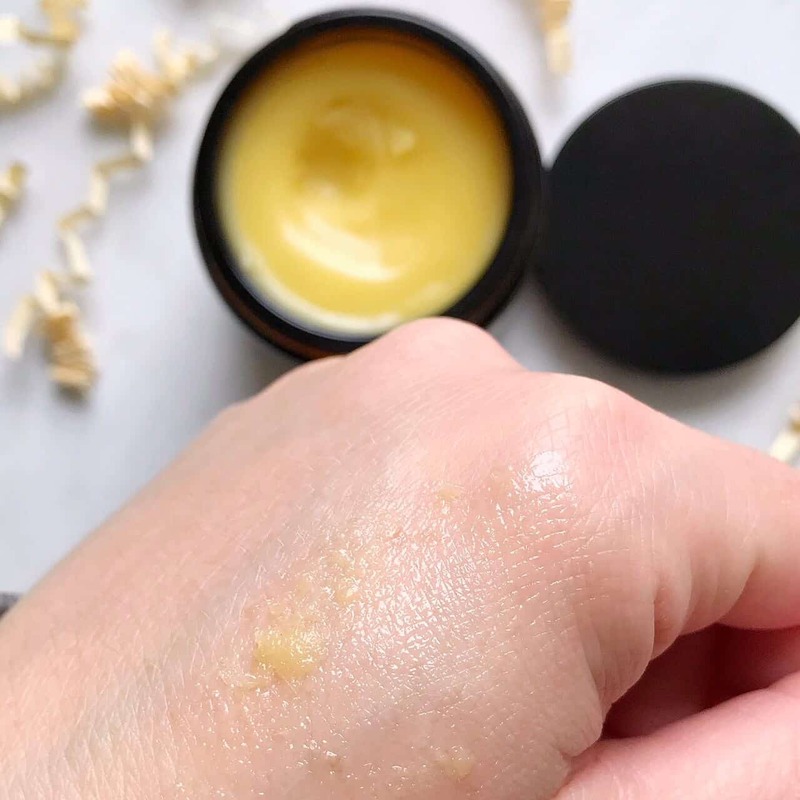 The cleansing balm is yellow and rich, melting into the skin quickly and easily, thanks to the cocoa butter and jojoba oil base. Just massage the balm into dry skin. The tiny crystals quickly melt in, helping your fingers glide over your face. Next, add a splash of warm water and massage your face. Finally, wipe away with a damp face cloth. I also opt to remove any final traces with a natural micellar water. If I’m just wearing one coat of my favourite natural mascara, I find this removes it really well. If I am wearing more eye make-up, I use micellar water first on my eyes. This rich balm leaves skin feeling clean, and comforted: it’s the perfect treat for stressed or dry skin. I find my skin dries out in winter, so this balm helps replenish it. 100% Natural Ingredients: Grapeseed oil, Jojoba oil, Cocoa seed butter, Beeswax, Chia seed oil, Rosehip fruit oil, Natural vitamin E from vegetable oil, Sunflower seed oil, Geranium flower essential oil and Rosewood essential oil. I love facial oils, and Willowberry Nutrient Boost Facial Oil (£22.50 for 30ml) is one of the best I’ve tried, with the same gorgeous scent as the cleansing balm. It comes with a hygienic dropper, meaning you don’t contaminate with with your fingers. It also means you don’t get it everywhere, and waste it. 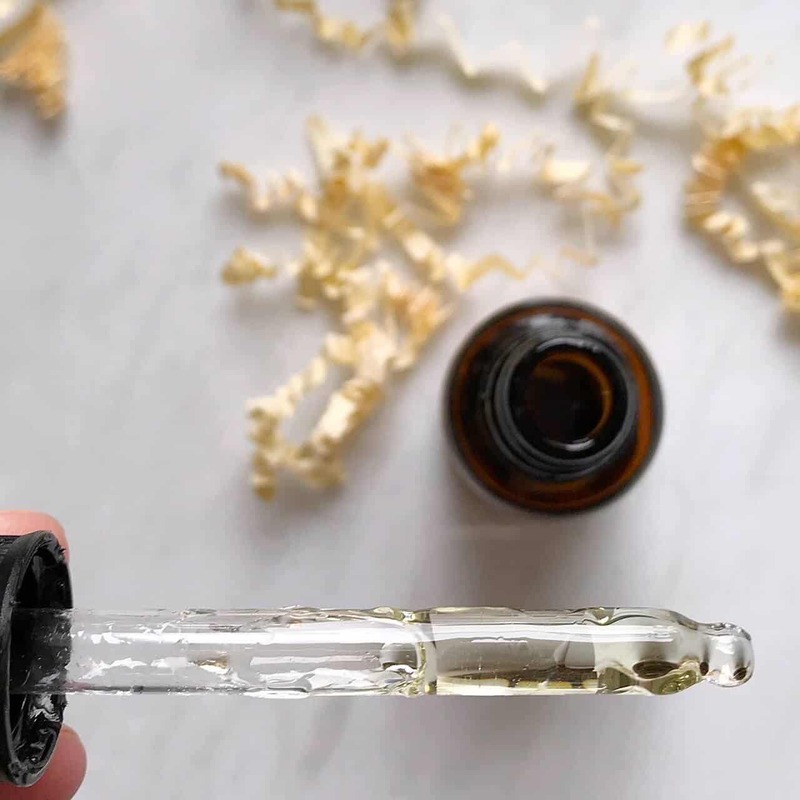 You just massage a few drops of this oil over cleansed skin, and follow with your cream. Some other facial oils I have tried feel a bit too oily, and seem to clog my pores. This one somehow manages to be hydrating, yet non-greasy. I can use it alone, or beneath my night cream, and wake up to skin that feels lovely and soft. As my skin is on the oilier side, I wouldn’t use this in the morning, but I think dry skin would benefit from it day and night. 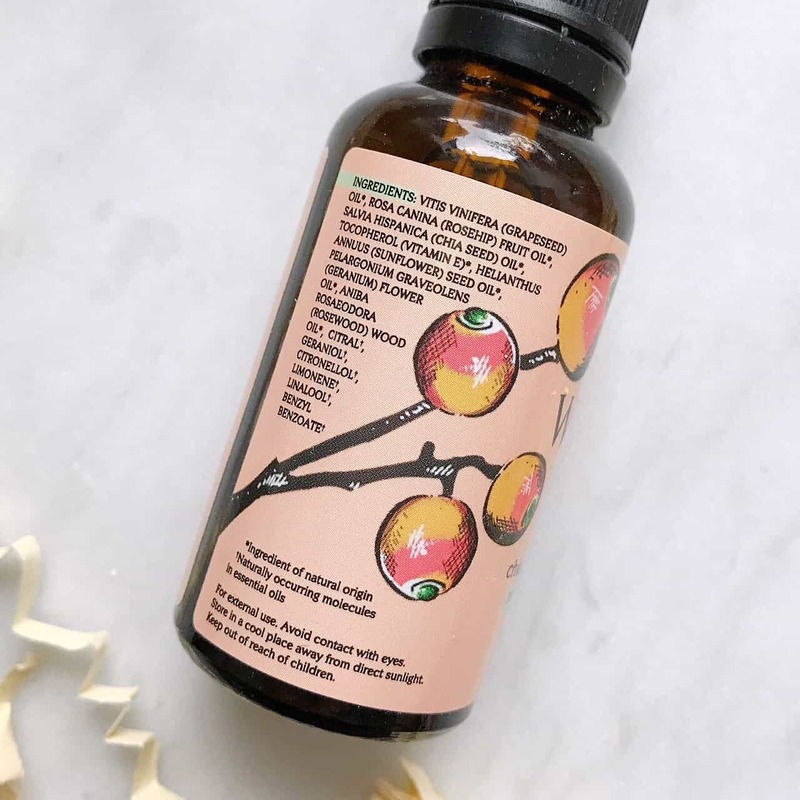 100% Natural Ingredients: Grapeseed oil, Rosehip fruit oil, Chia seed oil, Natural vitamin E from vegetable oil, Sunflower seed oil, Geranium flower essential oil, and Rosewood essential oil. Willowberry’s founder Jenni Retourné is passionate about the skin’s wellbeing. She created a capsule range that helps skin feel comfortable, happy and balanced. She achieves this through nutrient-rich, natural ingredients. The natural oils and butters that form the bases of the products are unrefined, which preserves the nutrients. 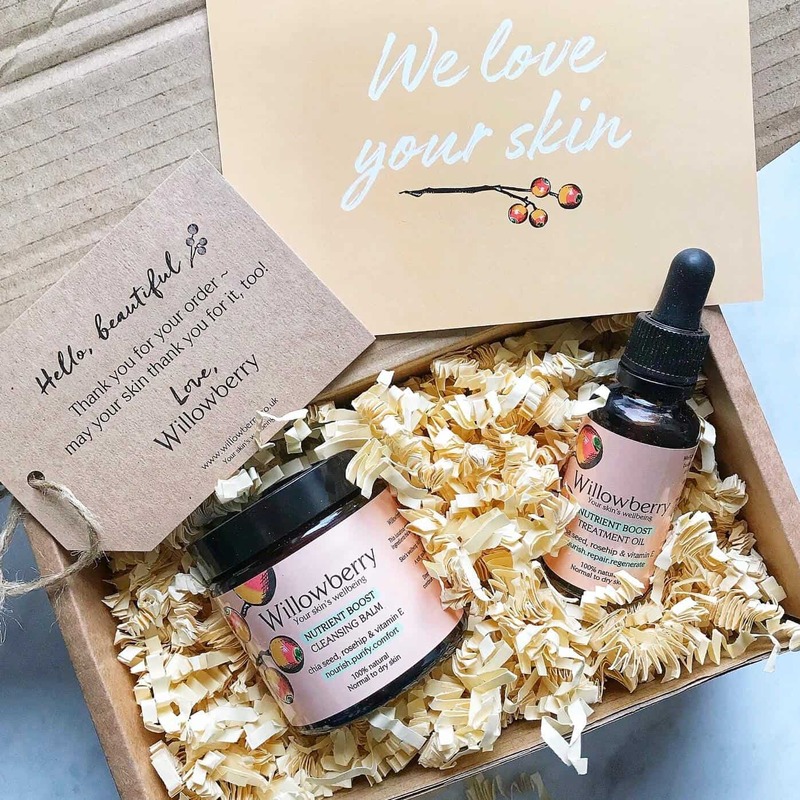 I have certainly noticed the difference in my skin since using Willowberry natural skincare products, and I think they are good value as you only need a small amount.